My son is 7 years old and I know how difficult it is for him to write his name in cursive. 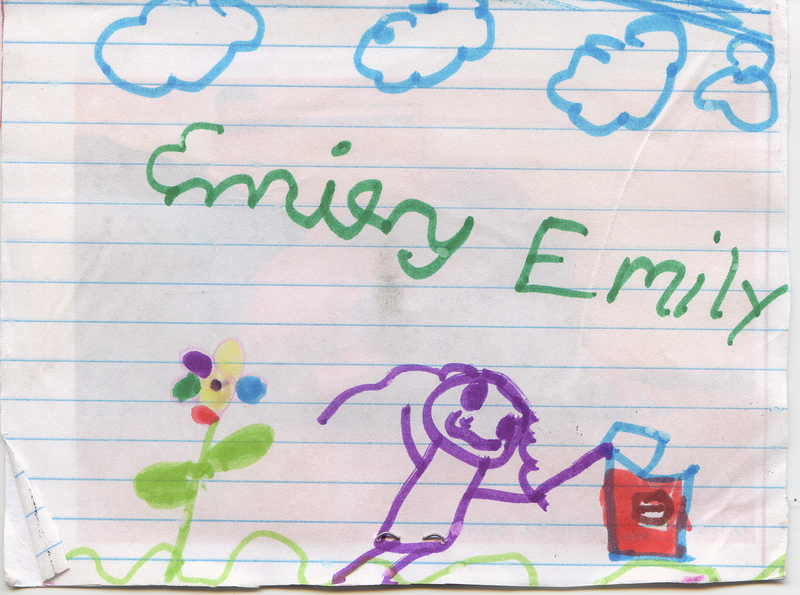 That’s why I am very impressed at Emily’s name here on this card. She is Miranda‘s daughter. 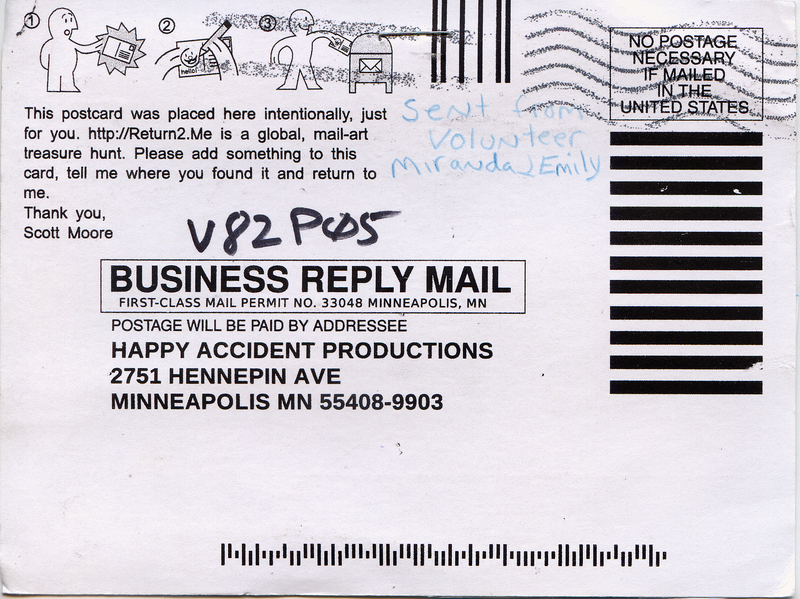 Miranda is the volunteer that placed postcards all over the U.S. during her cross-country trip. This entry was posted in Batch 006, postcard, volunteer and tagged cursive, drawing, handwriting. Bookmark the permalink.